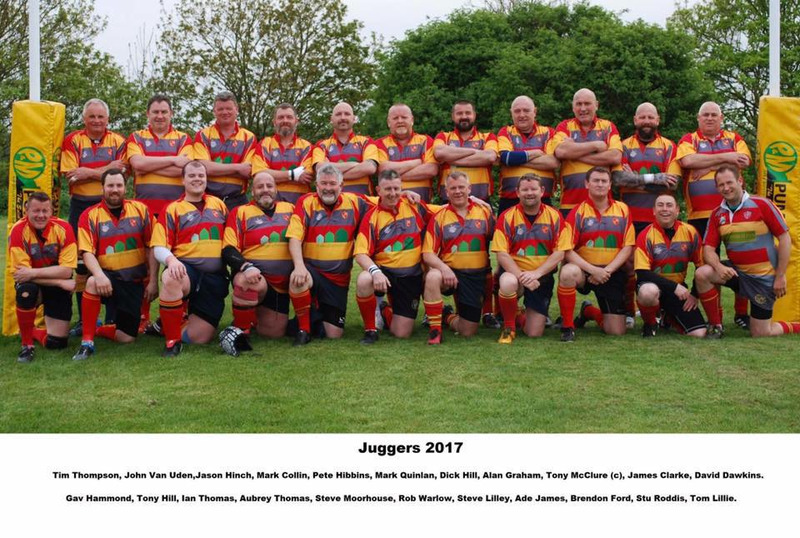 The Juggers traveled the short distance down the A47 to Thorney to play the Old Monks on a March Saturday that wasn't blowing an absolute hooley. We started off pretty well, playing some nice sensible rugby in the hosts half, and then conceded a try. The pack were looking good, solid in the set piece and a fair bit of picking and driving. Back down the pitch we went, this time camping in the 22, but to no avail, and as we know too well, if you don't turn the pressure into points, you will end up suffering, and we did when Thorney scored a second try. Half time Thorney 12, Juggers 0, ready made orange froth and a few subs to allow a bit of rotation. The second half saw Thorney introduce a few subs, and they proved to be a bit quicker than us, but at least they had to go round us, rather than through us. Then we got the score that we deserved (we probably deserved a few more, but ...). Damo, who had been playing ten pin bowling, was able to crash over. Another try for the hosts and that was pretty much it. Thorney Old Monks 31 Peterborough Juggers 5. Thanks to the Old Monks for the game, a cracking one to play in, and to our match official. Because of his impression of a wrecking ball, Damo was voted man of the match. Pete, one of the BBGT (twins today with Kevin present), 'won' plank of the week for his post match ensemble. Who knew they could make plimsoles out of old curtains. Good to have few new faces join us. The bring-along was a Mars Bar, although a couple of our number decided that they would be better consumed before the game. Why, because it was the birthday of an F1 engineer, who formed March, and March is the month named after the Roman God Mars. Nothing to do with the B side to Jimmy Jimmy by The Undertones (shame). Next week is S&L, away. Watch out for the call up from Skips. Lastly, hoping young Tony makes a speedy recovery to his calf injury.